A beautiful people soon to be wiped out. How tragic! We are all Guyanese, and we must do something about this. lands of these indigenous people. maintain the pristine beauty of our jungles. The Wai-Wais will inevitably be a causality in the name of so-called progress. swell coffers, are finding it is now too late to stop the deforestation of the rainforests. read Nicholas Guppys book”Wai Wai”and how these wonderful people lived with their art and management of land without the interferance of modern man with its greed and destruction.Lessons to learnt here.We need the forests for the evolution of life,and tomorrows medicinesand for weather patterns. A beautiful and humble people living off the land . Sometimes wary of strangers , but this is expected when one considers the cruelty inflicted on these simple people by mean and despicable land grabbers. This month is Amerindian Heritage Month and I do hope that more attention is given to the slow extinction of these nine Amerindian tribes and more pro-active measures are put in place to deal with this issue. 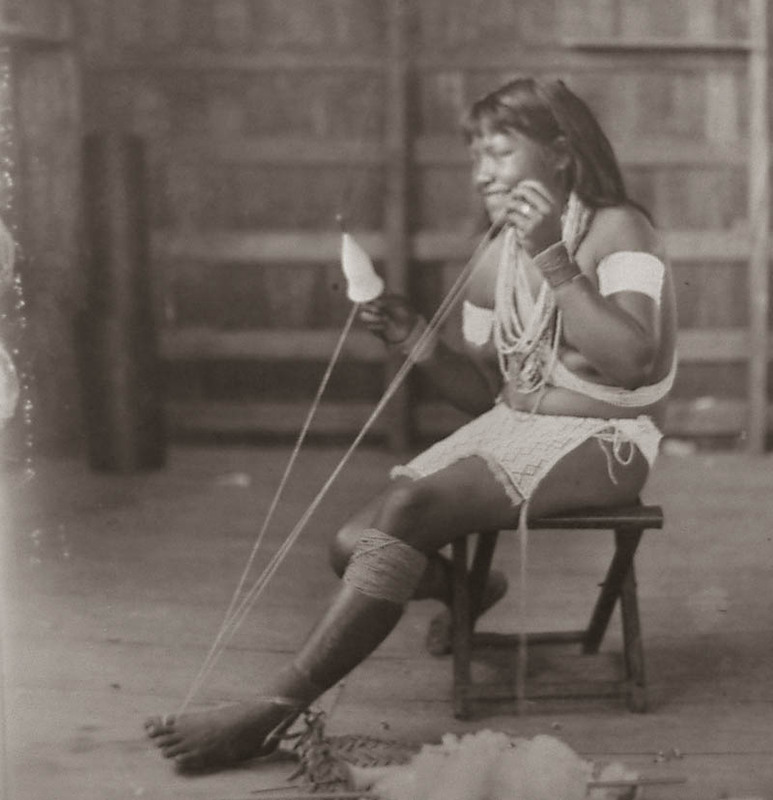 I live in Mexico and I am really interested in knowing more about the Wai Wai culture. I want to learn more about their ways to work together as a community. I found very little information online. Any recommendation for finding more information will be very appreciated. TRy the book “Christ;s Witchdoctor by Homer E. Dowdy. Harper and Row 1963. I depicts a lot of the tribal culture and beliefs. 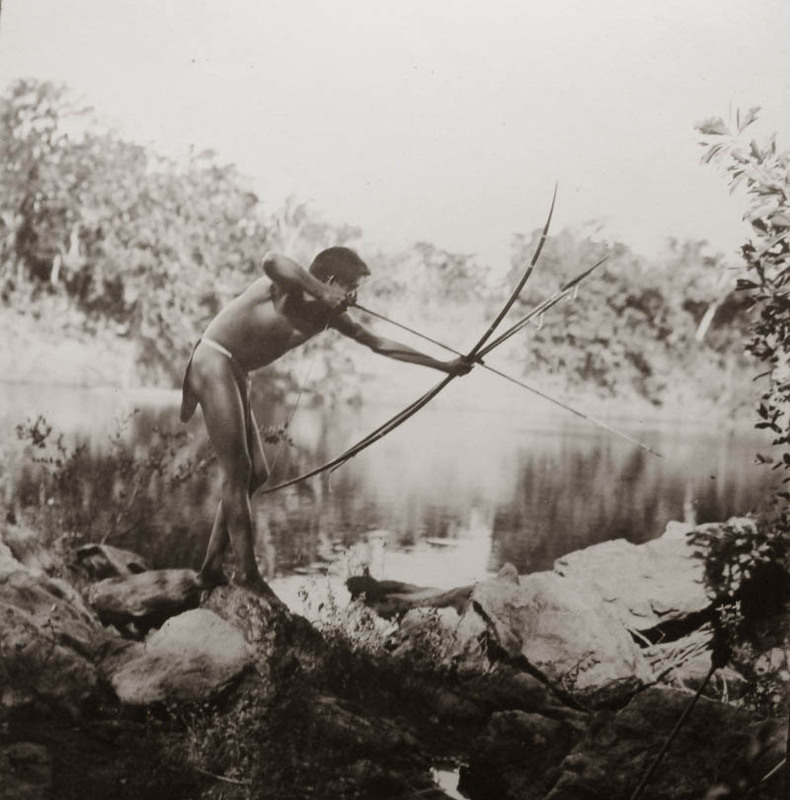 The picture of the Amerindian fishing with a bow and arrow was taken in 1910. My dad was 8 years old at the time and remembered that day very well. It is our “Uncle Henry”. I hope the information is updated. There are about 4 different stamps with him on it. Hi, my name is Armand Crown from New Zealand. 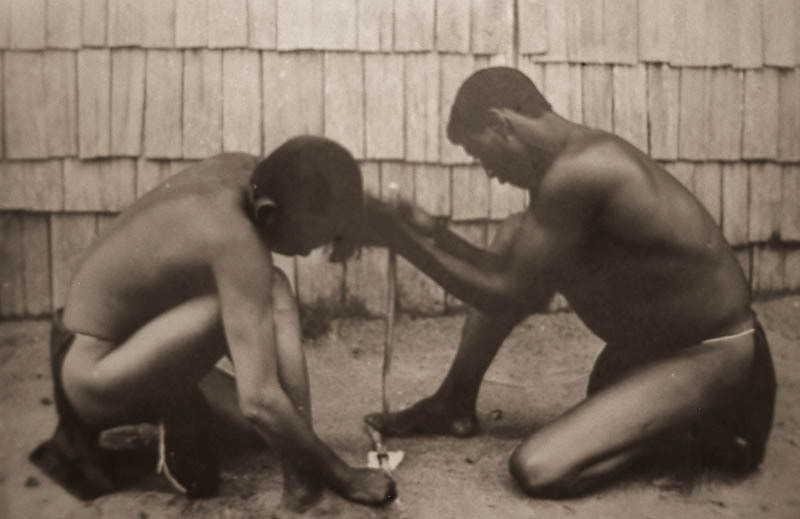 Arawa and Tainui are two major tribal groups that make up the native Maori population here. My PhD is based on the notion that these groups are in reality Arawak and Taino, further more there is a Waiwai group here as well. Next year we will attempt to do a Dna comparison between the two Wai wai groups as scientific evidence in support of oral traditions recorded in 1850, giving a history of their arrival via the Marquesas/Tahiti region of the Pacific.